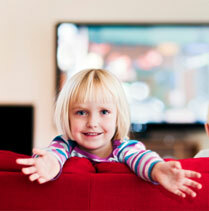 Simple ways to avoid too much TV time and to get active as a family to prevent obesity! Ninety-nine percent of American households own at least one television, and each person watches an average of four hours of TV per day. This equals about two months of non-stop television watching per year. About 4,000 studies have been done to see how this affects children. 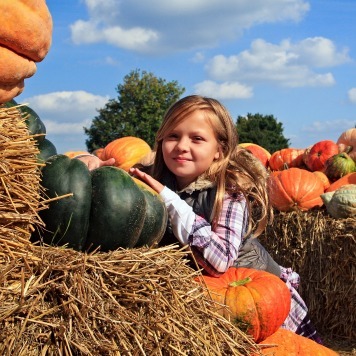 For example, a recent study published by the Journal of the American Dietetic Association followed a group of children from kindergarten until they were in third grade. Weights and measurements were taken four different times during this time frame. Parents were asked about their children’s television watching habits and about how often their family ate meals together. The study found that the children who watched more television and ate fewer family meals were more likely to be overweight by the end of third grade and were more persistently overweight than the other children. The authors of the study think that television watching plays a role in weight gain due to its effects on attitudes and behaviors. This study suggests that changes need to begin in the family-life habits and routines. The best way to begin making family changes is by doing it together. Start with one or two of these ideas, to begin with, your healthier habits today! Sit down as a family and talk about activities that would work for all members. Talk about games that can be played which everyone would enjoy. Make meal preparation a family activity where each person has his or her own job. 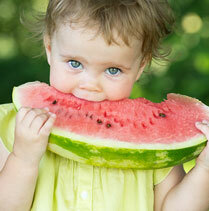 Children may be more likely to eat the dinner veggie if they are the ones cooking it. Allow children to explore their creative sides by taking up individual hobbies. Whether it is playing sports, putting together model cars, or taking voice lessons, let kids experience life rather than just watching actors portray it on TV. Learn why it’s important to have screen free zones. For other ideas and information on television watching visit www.tvturnoff.org. Tabitha is a Registered and Licensed Dietitian/Nutritionist and Certified Diabetes Educator located in Philadelphia. She currently works in clinical nutrition at Esperanza Health Center, where she has been since 2006.